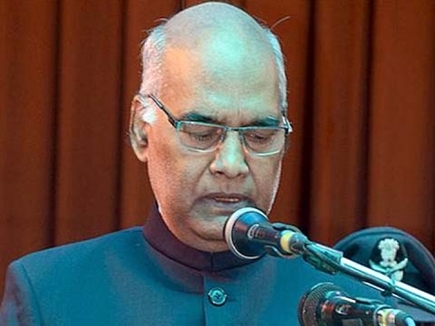 Ram Nath Kovind - Hon'ble Ram Nath Kovind is a respected Indian Indian politician who has been elected as the 14th president of India by replacing the incumbent president Pranab Mukherjee on 20th July 2017. He will be taking the responsibility on 25th of July 2017. Before elected as the president of India, he was the governor of Bihar (India) in between the period of 2015 to 2017. He was also served as the MP of Upper House (The Rajya Sabha ) from the tenure of 1994 to 2006. He is actually a prominent member of Bhartiya Janta Party and also believes to be very close to Indian Prime Minister Narendra Modi. He is actually a true representer of the poor people in India as he himself used to belong to a very low profile family in terms of money and resources. He became a lawyer by profession after a very hard work and struggle and now will be going to act as the president of India. As an advocate, he provided free legal services to the weaker section of society. He also served as the personal assistant of Prime Minister of India Morarji Desai in 1977-1978. He is actually a true motivator to all of the Indians like us. Ram Nath Kovind was born in Kanpur Dehat situated at Uttar Pradesh (India) on dated 01-10-1945 into a poor farmer family. His village Paraunkh (Derapur of United Provinces under British India) is now in the Uttar Pradesh state of India. He did his Bachelor degree in commerce stream along with the LLB from the Kanpur University of Uttar Pradesh. Upon the completion of his degree, he shifted to Delhi where he started to prepare for the Civil Services of India. On the very third attempt, he cracked the civil services examination but didn't go for it. He started practising law as he was selected for the allied services later. He was Central Government Advocate in the Delhi High Court from 1977 to 1979 and served as a Central Government standing counsel in the Supreme Court from 1980 to 1993. He also served as an advocate of the supreme court. He was also enrolled as an advocate in 1971 with the bar council of Delhi. In the year 1991, he joined BJP Dalit Morcha and also as the president of Koli Samaj. In 1994, he was elected as the MP of Rajya Sabha and served for 12 consecutive years. He has been on the board of members at Dr B.R Ambedkar University and also on the board of governors at Indian Institute of Management Kolkata. He has also represented India at the UN and addressed the United Nations General Assembly in October 2002.In the year 2015, he was appointed as the Governor of Bihar. As a leader, lawyer and a politician, he has contributed a lot to the unprivileged section of the society, to the investigation of the promotion and appointment of undeserving underrated teachers, fund mismanagement and appointment of undeserving candidates in the universities and colleges. Ram Nath Kovind is married to Savita Kovind in the year 1974 and then blessed with two children named Prashant and Swati. His son Prashant is a married man now whereas his daughter Swati is unmarried till now. 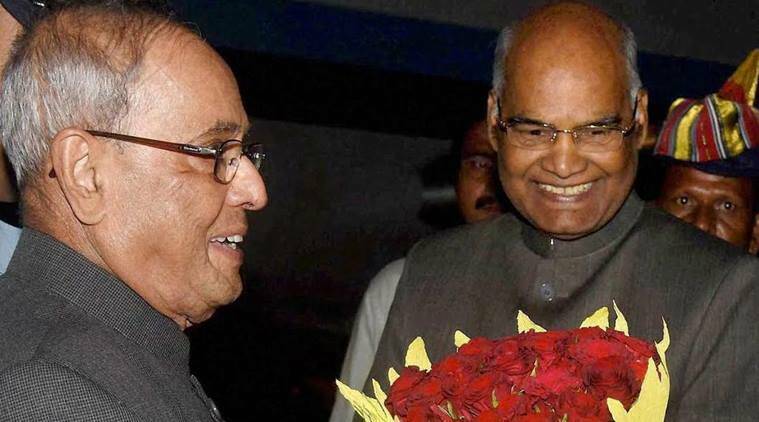 Like every big and affluent personality, Kovind has also been gone through with some controversies. As the spokesperson of BJP, he suffered this phase when regarded Muslims and Christians as alien to India. Actually, he spoke out such statement when a commission was proposing for 15% reservation in government sectors to such minor sections of Indian society with a less population. हमारे राष्ट्रपति श्री रामनाथ कोविंद जी का पोलिटिकल करीयर बहुत ही अच्छा और जानने योग्य है. आपने उनके जीवन को बहुत ही अच्छे शब्दों में व्यक्त किया है.